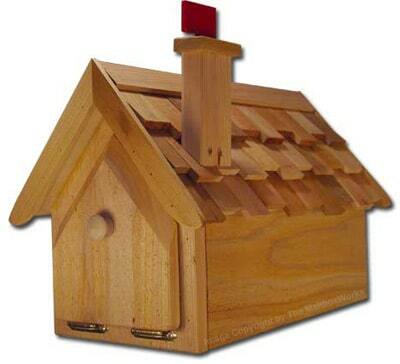 MailboxWorks offers a huge selection of unique and decorative residential mailboxes for sale. 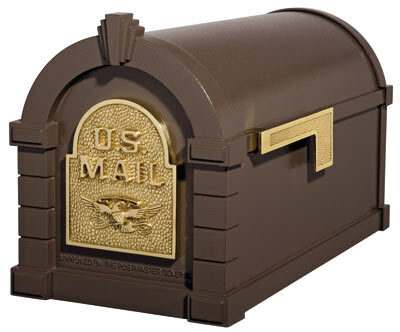 Our inventory includes residential post mount mailboxes that can be ordered with or without mailbox post. We also offer residential wall mount mailboxes, locking mailboxes, novelty mailboxes, mailbox slots, stainless steel mailboxes, and wooden cedar mailboxes and posts. Once you or your homeowner association determines the type of mounting your mailbox requires, you can choose your unique residential mailbox from the variety of styles and features found within each category. 1. 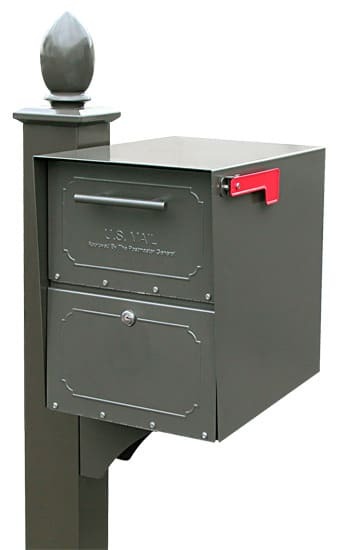 Mailbox Features – You can buy a residential mailbox with a variety of unique features such as mailbox address panels, locking residential mailboxes or locking mailbox inserts. 2. Mailbox Style and Finish – You can also choose from a myriad of residential mailbox styles and finishes to complement your home; from unique novelty mailboxes or a classic Victorian mailbox finish, to the sleek lines of modern stainless steel mailboxes. 3. Mailbox Accessories – In many instances, it doesn’t make sense to purchase a stunning residential mailbox and then place it on an old mailbox post. Nor would you want to attach an unsightly orange plastic newspaper holder to your curbside or wall mount mailbox. You might want to consider the various mailbox accessories available for residential mailboxes while still in the purchasing cycle. 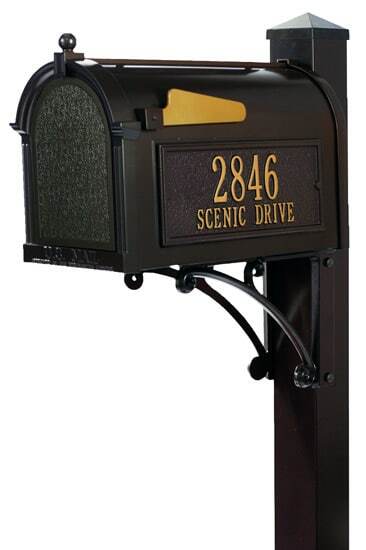 You can choose an appropriate mailbox post, newspaper holder, post finial, post cuff, or other such mailbox accessories when ordering your new residential mailbox. This will help to ensure you create a consistent look for the entire mailbox assembly (or if purchasing for your neighborhood, throughout the community). The MailboxWorks is the nation’s leading distributor of commercial mailboxes and multi-family mailboxes for residential use. We serve homeowner’s associations and home builders, and provide not only expert advice for optimal results but also competitive mailbox quotes. Homeowner associations and builders can save considerably on installation costs and equipment costs by utilizing multi-mount mailboxes. This is where you mount several mailboxes to one post for multiple residential mailboxes in one unit. 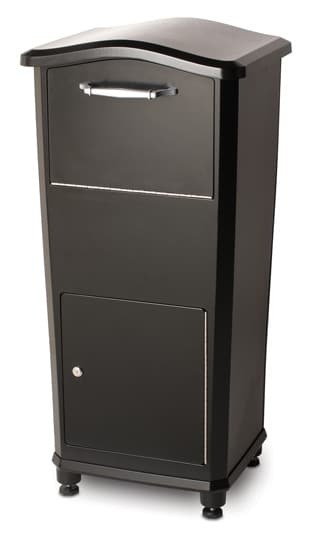 Regardless of whether you need a classic or contemporary residential mailbox with post, a wall mount mailbox, or a large column mount residential mailbox, you’ll feel rest assured when you purchase from The MailboxWorks. 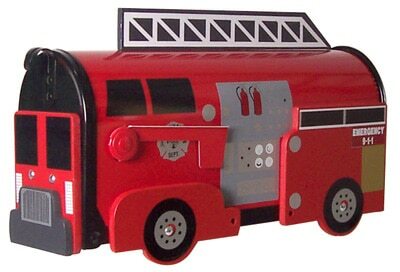 We are the nation’s largest online retailer for residential mailboxes. We’ve been helping homeowners, builders, and homeowner associations find the perfect wall mount or curbside residential mailbox since 1989. Contact our residential mailbox experts. What is a post mount mailbox? Designed for roadside mail delivery, a post mount mailbox is also known as a “curbside” mailbox. 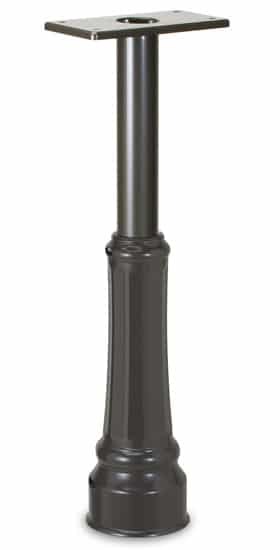 The post mount mailbox can be a locking or non-locking curbside mailbox and is generally mounted on a mailbox post that is set in the ground or set within concrete. Some curbside mailbox posts may also be bolted to a concrete base. How deep does the mailbox post have to be in the ground? As a general rule, the hole for your mailbox post should be at least 20 inches or more deep. You can use fast set concrete to help make the post more secure. Some mailbox posts can be bolted to a pre-formed concrete base. What is a column mount mailbox? 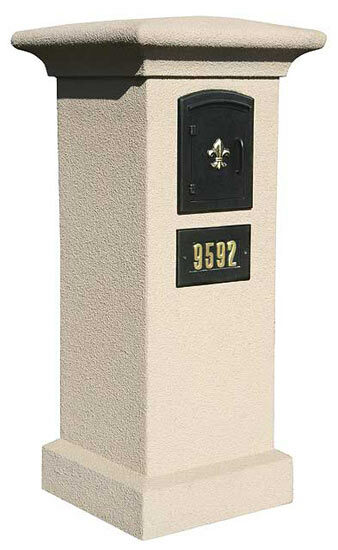 Column mount mailboxes are also generally designed for roadside (curbside) mail delivery. Instead of being mounted on a post, the locking or non-locking column mount mailbox is usually mounted within a pre-built or custom-built column. Does it matter which side of the road the post mount mailbox is located? 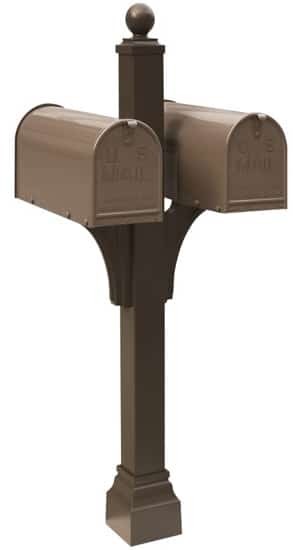 As a general rule, a residential post mount mailbox should be installed on the same side of the street as the delivery address. It may also be installed on the opposite side of the road if that is in keeping with the direction of the mail delivery route. How far does a post mount mailbox have to be in from the road? When installed, the door of your post mount mailbox should be no more than 6 to 8 inches back from the curb. How high does a post mount mailbox have to be from the surface of the road? Install your post mount mailbox so that the bottom of the mailbox is within 41 to 45 inches from the road’s surface. Does a post mount mailbox need to have the full home address on it? Recommended – adding a mailbox address is helpful; add your full home address if your mailbox is going to be installed on the opposite side of the street. How big does the mailbox address have to be? Your mailbox address numbers should be at least 1 inch tall or more. Where on the post mount mailbox should the mailbox address be located? In general, your mailbox address numbers should be installed on the front mailbox door and/or on the same side as the mailbox flag. What is a wall mount mailbox? 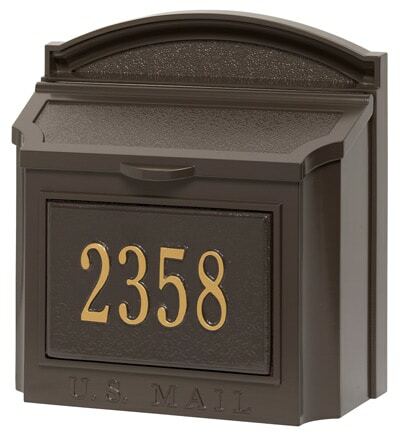 Wall mount mailboxes were designed for homeowners who receive walk-up mail delivery. The wall mount mailbox is usually mounted on a wall near the home’s entrance. 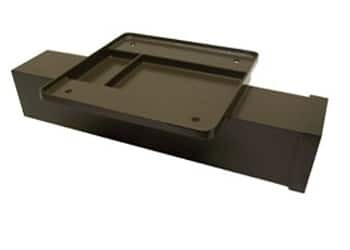 How high should a wall mounted mailbox be installed? Your wall mount mailbox should be installed near your home’s entrance. Whether your wall mount mailbox is being accessed from the front steps, the sidewalk, or the landing of your front porch, it must be within easy reach for your mail carrier. Do I need to have my address on the wall mount mailbox? Having the address on your wall mount mailbox is not required but it is a good idea to install your wall mount mailbox near your home address numbers. Can I move my mailbox location? Before moving your mailbox location we highly recommend that you contact your local postmaster for approval. How much does a mailbox cost? The prices for residential mailboxes can vary a lot depending on your preferences. Prices can range anywhere from less than $20 up to hundreds of dollars or more. Do I legally have to have a mailbox? No, there is no law that says you must have a mailbox but it is highly recommended if you wish to receive mail. Should I get a locking mailbox? Although you are not required to buy a locking mailbox we do highly recommend them in order to prevent mail theft and/or identity theft. What is the mailbox flag for? Although not in general use anymore, the mailbox flag was initially used by the mail carrier to signal the recipient that the mail had been delivered. Can I receive packages in my mailbox? With online shopping becoming ever more popular, the postal service is now handling a lot more package deliveries. There are also a lot more people working from home. Today, we find that many homeowners are upgrading to large mailboxes or secure drop boxes for residential use. NOTE: Find answers to frequently asked questions on our Mailbox FAQ page.